More than 200000 real accounts opened! 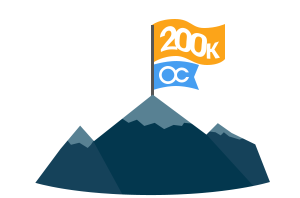 Since the day of establishing the company, we went through significant changes in all the fields, constantly improving every available feature and today OctaFX team is thrilled to bits to announce that more than 200 000 clients trust us! 200 000th account is opened today, and it becomes one of the landmarks in our history! We are immensely proud to provide you with the best service possible and keep the standards high, in line with company motto “Let the traders trade and we will take care of everything else”. Thank you for staying our dedicated clients. OctaFX team continues to do everything possible for your trading experience to be convenient and is always open to any feedback. Rejoice for Round 26 OctaFX Champions! OctaFX most popular and long-standing demo contest finished its 26th round! OctaFX awards 6000$ to Trading Sprint demo contest winners! We had been watching the competition closely with great interest to the very moment when 2549 traders crossed the finish line! Today OctaFX team congratulates the winners and awards the prizes!